Tiaras n Crowns pampers today’s modern bride—and her bridesmaids—with a perfect blend of timeless, artful and handcrafted wedding jewelry designs, combined with a refreshingly modern edge. Tiaras n Crowns is part of Atlantis Discovered. We are in San Antonio, Texas and specialize in Bridal Jewelry, Prom Jewelry, Quinceaneras, and gorgeous costume jewelry. We have Necklace and Earring sets, Tiaras, Bracelets and much more. We can outfit your entire wedding party or everyone in your Quinceanera. There’s a lot that goes into planning your wedding, prom, or quinceanera. You know how important it is that all the pieces fit together. Don’t leave anything to chance. It’s no different with your jewelry. You need the bridal earrings, bracelet, or necklace that suits you, your wedding dress, and the look you want on your wedding day. The range of designs, jewels, and finishes you’ll discover with Tiaras n Crowns allows you to find the jewelry that is absolutely perfect for you on your wedding day. Stop by Atlantis Discovered and see all the Bridal Jewelry that Tiaras n Crowns has to offer. We have THOUSANDS of items in our store in San Antonio. 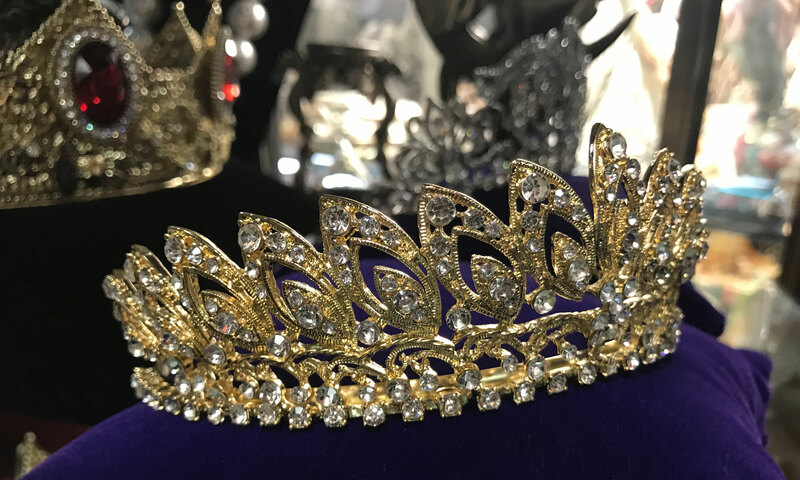 Come in and explore the wonders and secrets of Tiaras N Crowns! Most of our stock changes so often, that it’s impossible to take all the pictures, gather the description information, pricing, etc, and get it on the website before it’s sold! So, generally, we only put items that we can get over and over. Much of our stock is ONE OF A KIND! (or a couple of a kind). Tiaras N Crowns has THOUSANDS of items in our store in San Antonio.